We all want the most fragrant cannabis, but that fragrance can be a liability if you’re traveling outside your home. There have been too many instances where we’ll enter a room, or hop into a friend’s car, or pull up next to someone at the bar, and will hear a comment like, “Oh you smell good…” It’s usually a friendly, yet still slightly annoying, acknowledgment of the fact that we’re carrying our cannabis. 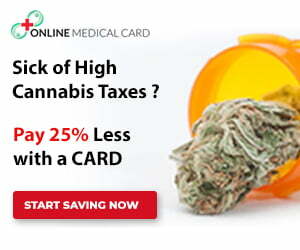 After that tell-tale cannabis scent comes wafting from your bag or your pocket, you can say goodbye to all discretion. Fortunately, we learned about AnnaBís (pronounced Anna-Bee) handbags. 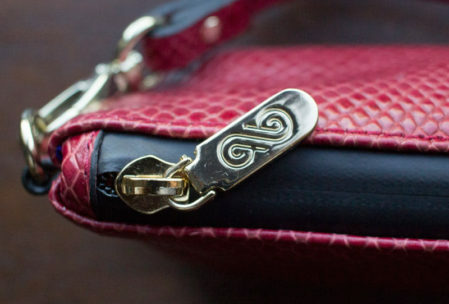 AnnaBís offers a variety of stylish, smell-proof handbags that are as beautiful as they are functionally discreet. We were eager to get our hands on some AnnaBís luxury to see if it was possible to prevent making such an aromatic entrance everywhere we go. 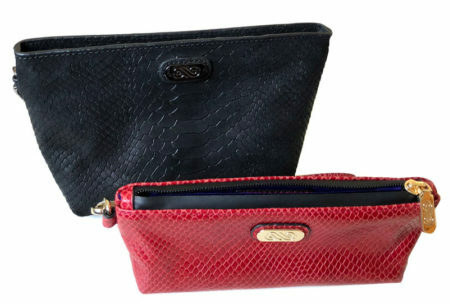 We tried two different styles of AnnaBís handbags: the Maya (in Black Buff Python) and the Riri (in Red Lizard). 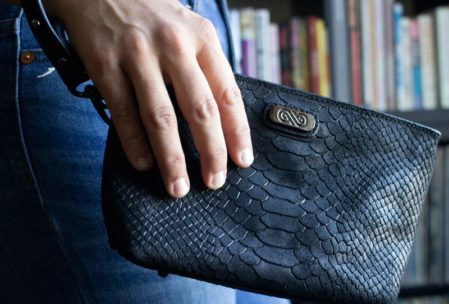 The AnnaBis Maya is a stylish clutch purse that doesn’t look like your typical stash bag at all. In fact, it looks like something you would buy alongside the designer purses at Nordstrom. Given its versatile size, you can throw this bag in a tote or carry it around in your hand (its wrist strap makes this even more convenient). With its accentuated metal embellishments, like the footing on the bottom of the bag and the nicely designed and understated brand label on the front of the bag, the Maya is an unbelievable step up above the competition. As far as style and aesthetics, Annabis is head and shoulders above the selection of stash bags currently on the cannabis accessories market. The AnnaBis Riri, although quite smaller than the Maya clutch purse, has the same high-end feeling and gorgeous leather exterior. All AnnaBis bags are lined with Aroma-Bloc technology, which consists of odor-blocking layers of resin film usually used in the food, medical and electronics industries. Both the Maya and the Riri really do the trick. The construction of the bags is durable yet flexible, lightweight and really keeps the scent of cannabis under wraps. We loaded the Maya with a container of cannabis, a lighter, a small pipe, a phone, and car keys, and set out for a friend’s house and subsequently a bar. 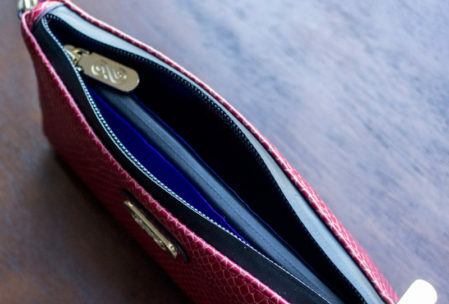 Everything fits in the purse thanks to the Aroma-Bloc rubber zipper-locked pockets, the external phone pocket, and the even smaller accompanying pockets and elastic loops for things like a lighter, perfume, or a credit card and cash. We walked into our friend’s place, said our hello’s with the purse slung on our wrist, and no one said anything about us or our bag smelling like cannabis. 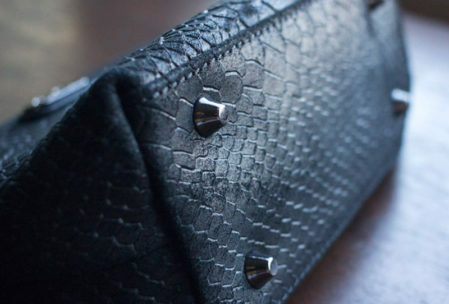 We later went to a bar, where we placed the purse directly on the bar — which was sticky and wet, but thankfully, the metal footing on the bottom of the Maya prevents spills and sticky messes from getting on the purse — and there wasn’t a hint of cannabis aroma that lingered! The Riri was the perfect handbag for when we needed to carry a larger purse or pack an overnight bag. With it’s red, leather exterior, the Riri looks nothing like a bag you would carry cannabis in. 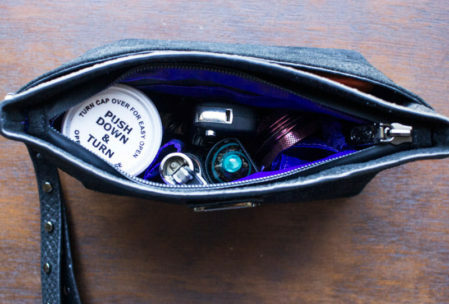 It’s small but perfectly sized for carrying the essentials: cannabis, pipe or vaporizer, and lighter. It has a large Aroma-Bloc zipper and an extra Aroma-Bloc divider inside where you can stash cannabis or other aromatic smoking tools separately from other things that do not smell. 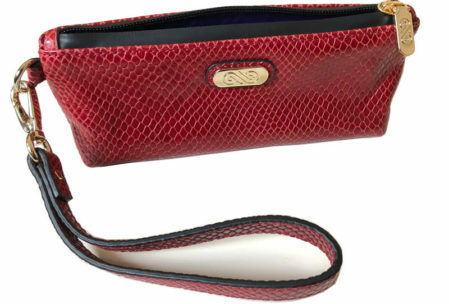 We used the Riri most often because it was small enough to throw in bigger purses and quite convenient to carry around. Both the Maya and the Riri are strong, beautifully constructed, and definitely high-end handbags. 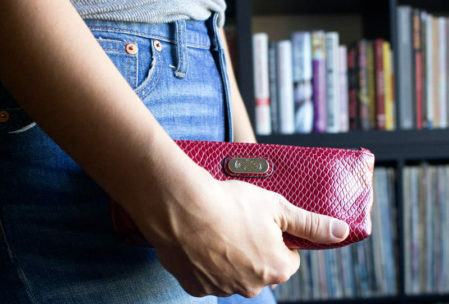 While other smell-proof bags on the market are either stereotypically “stoner” looking, or feel more like cosmetic bags, the AnnaBís handbags are legit purses for women cannabis users that want to be as discreet as possible. AnnaBís handbags are high-end fashion and functionally discreet – the perfect vape accessory for the sophisticated, modern woman. There’s no reason to miss a night on the town just because you have your cannabis with you – whatever you choose to do and wherever you choose to go, you can rest easy knowing your cannabis is discreetly stored with an AnnaBís bag. 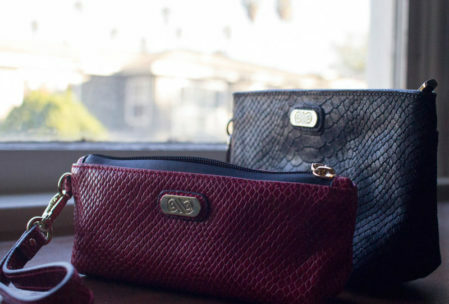 AnnaBis currently offers a collection of over 8 designer handbags in multiple colors/styles which are all available for purchase online directly through Annabis. Enjoy free shipping on all orders over $100. 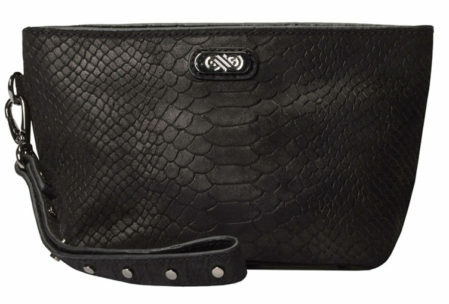 AnnaBis Maya clutch handbag is available in over 5 colors/styles for $125. The Riri handbag is available in 4 different styles for $95. 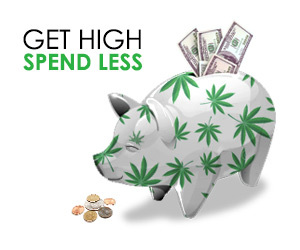 Use code CANNABISVAPES at checkout for 15% off your order. BONUS: Each bag comes with extra cannabis storage containers, a dust bag, and a certificate of authenticity so you know you’re getting the real deal. SHOP FOR A GOOD CAUSE: AnnaBís also donates $5 from every bag sold to Realm of Caring so you get to shop for a good cause. Keep up with the latest on AnnaBis by following them on Twitter @annabisstyle and Instagram @Annabis_Style.